Apple has filed a patent for an iPhone that may have a flexible portion that may allow the handset to be "opened and closed like a book." This comes soon after a report claiming Apple was working with LG on a foldable iPhone. Apple filed for the patent with the US Patent and Trademark Office (USPTO) in 2014 and was granted this month. 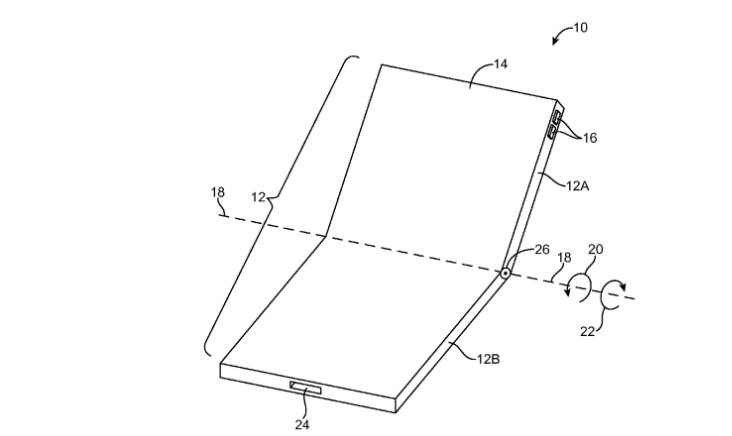 Critical to Apple's foldable design are the OLED panel and metallic hinge that will allow the display to be folded like clamshell mobile phones. "An electronic device may have a flexible portion that allows the device to be folded. The device may have a flexible display. 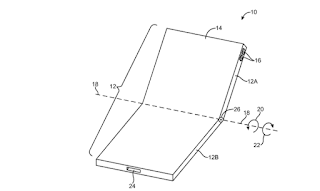 The flexible display may have a bending region that allows the display to bend along a bend axis when the device is folded," says Apple's patent application. Earlier, reports said Apple has decided to go with LG and not Samsung (the latter's OLED displays are considered the best in the industry) owing to the fear that specifications could be leaked as Samsung is its arch rival. Samsung is expected to launch a smartphone with foldable design in 2018, likely to be named Galaxy X. The foldable iPhone panel production could start from 2020. Meanwhile, LG has reportedly completed its own foldable OLED panel prototype and has been upgrading the durability and the yield rate. The company recently started its first OLED production for phones at its E5 plant in Gumi, North Gyeongsang Province.